Orthodontists is a dental specialist who undergoes 3+ years in the field of orthodontics which is a branch of dentistry treat patients with conditions such as crooked teeth which are also called dental malocclusions. An orthodontist will diagnose a case using study models and orthopantomogram which are very essential in deriving the right treatment plan for the patient. The department of orthodontics also includes dentofacial orthopedics involving the study and correction of any abnormalities in the growth phase of the dento facial apparatus. Orthodontists and dentists deal with patients to resolve many dental and oral health problems. Orthodontics is one of the eight dental specializations and it deals with the correction of various malocclusions. Orthodontists treat many malocclusions such as underbite, overbite & deep bite. They are trained in a postgraduate programme such as M.D.S in a dental school which gives them exposure towards treating many conditions involving crowed teeth. In clinical practice, they diagnose and treat conditions with respect to the teeth and jaws. Many of these cases cannot be handled by a general dentist as they are not exposed to them during their undergraduate programme nor are they licensed to handle such cases involving orthodontic treatments or appliances. 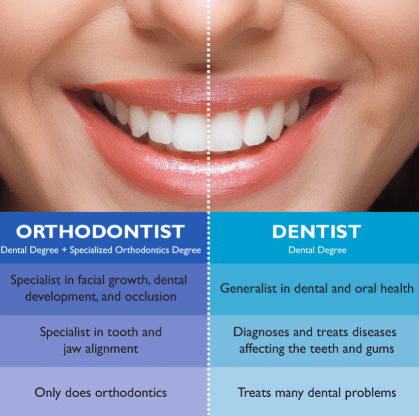 An orthodontist’s job is to assess the dental proportions of the patient which can be dived into class 2 & class 3. Facial proportions such as dolichocephalic, mesoprosopic & leptoprosopic are also considered before any treatment plan is actually implemented. After the diagnosis, your orthodontist will create a dental model which is a replica of your lower and upper teeth using dental stone and alginate. The dental model is used to study the alignment of the teeth. An orthodontic treatment plan is derived from the above study and the necessary appliance is designed depending on the types of tooth movements which include the delivery of tipping, Invisalign clear aligners, torquing & bodily forces on the tooth to create the desired movement to move the teeth to create to the desired position to stay in harmony with the adjacent hard and soft tissues. After the movement of the teeth, the orthodontist will place a retainer to hold the teeth in the achieved position. The orthodontist uses many appliances such as braces, myofunctional appliances which use the forces delivered by the surrounding muscular soft tissues. 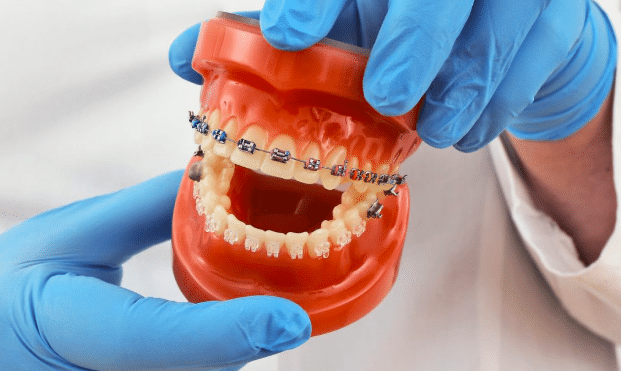 The orthodontist is also trained to design various orthopedic appliances to guide various facial growth processes in young children which cannot be done after a certain age. Orthognathic surgery is also done by an orthodontist with the help of an oral and maxillofacial surgeon to correct the malalignment of the jaws. A class 3 jaw is forwardly placed giving the patient a concave position and a class 2 jaw is placed backward giving the patient a convex appearance and is corrected by a bilateral sagittal split osteotomy. Orthodontics and orthodontic treatment can be started at an early age, the American association of orthodontists recommends Age 7 as the ideal age to take your child for his/her first orthodontic assessment. Your child’s milk teeth play a very important role as they also play a very important role in the development of their jaws. The right sequence of exfoliation of the milk teeth helps the permanent teeth to erupt into their right position to create the right occlusion with the adjacent teeth thus a space maintainers are placed by pediatric dentists in case of early exfoliation of the deciduous tooth to hold the space for the eruption of the permanent teeth. Many detrimental early childhood habits such as thumb sucking and tongue thrusting cause problems such as class 2 malocclusion, bad bites where the upper maxillary teeth are forwardly placed compared to the lower mandibular teeth which involve incomplete lip cloture or lip seal. Tongue thrusting can cause a narrow palate which can be corrected by using a palatal expander by a pediatric orthodontist. How should a patient pick an orthodontist? The patient should always consider the number of years of experience as the years pass the orthodontist can witness and treat numerous complex cases. No human has similar teeth and a different approach is necessary for every case and only a proficient orthodontist can diagnose and approach complex cases. The school from which an orthodontist graduated should also be considered as with any profession only the to schools teach their candidates the top-notch approaches to deal with different cases. An exclusive orthodontic dental clinic is always equipped with technology which can cater to all the needs of the patient under one roof. It should have an OPG to access the underlying alveolar bone and an RVG to assess the general dental health of every individual tooth. 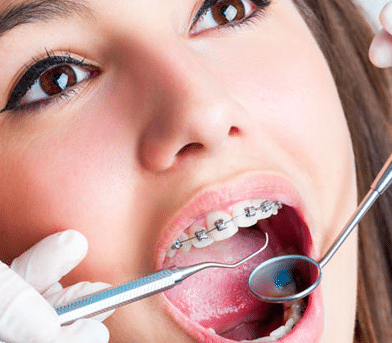 Many types of equipment such as high-quality pliers and bite force measurement devices are sometimes only possessed only by an exclusive orthodontic practice. 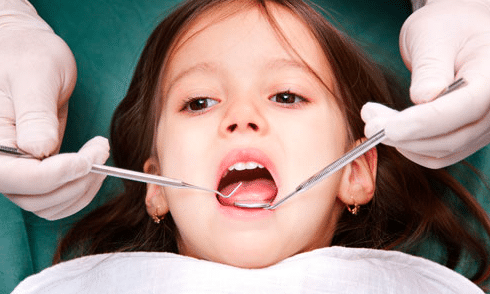 Previous PostPrevious What is a pediatric dentist?